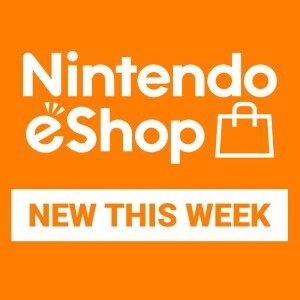 Available now from Nintendo eShop on Nintendo 3DS, SteamWorld Dig is a unique blend of action, platforming, and mining game. 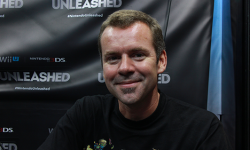 To find out more about the game's journey to Nintendo 3DS, the series' history with Nintendo DSiWare and much more, we spoke to Image & Form CEO Brjánn Sigurgeirsson. Nintendo of Europe: Please introduce yourself and your work on SteamWorld Dig. Brjánn Sigurgeirsson: My name is Brjánn Sigurgeirsson and I’m CEO at Image & Form. And that’s basically it! Everyone else did the actual work, I just took the credit. I’m a credit-hogger! That should be my title! NoE: When was Image & Form set up, and how many people work there? BS: Image & Form has been around since 1997, and we started making games full-time in 2002. We did a lot of work-for-hire until 2009, then we stopped that and started concentrating on making our own titles. 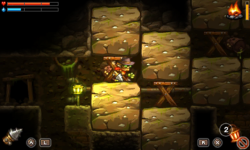 We started making SteamWorld Dig in October 2012, and we finished it in June 2013. That is beyond comparison for us – it’s the longest self-published game project that we’ve worked on. We ran out of cash in February, and we had to borrow cash to finish the game. There’s 12 of us, plus one intern, so 13 in total now. There’s me – I’m the CEO – Marco, who’s the project manager, four graphics guys, five programmers-slash-designers, and an intern. NoE: You say it’s the longest project you’ve worked on as a company. Was it a labour of love for you all? BS: Oh, most definitely. When you come from work-for-hire, if you work together with a publisher and always see your ideas pruned by someone else, you become very passionate about your ideas, and that happened here. When we started making this game, we decided from the start that we weren’t going to kill so many darlings. And in the end, obviously we ended up killing some of our darlings due to lack of time, but I’d say we’ve loved SteamWorld Dig from very, very early on. It may sound like a surprise, as the general reception has been that the game comes across as very well-designed, but we were a long while into the development and had come pretty far when we actually realised that the game just wasn’t fun. And there were a few things that would have been so hard to change at that point, but probably the finest hour in the whole project was when we decided to scrap what wasn’t working and put in the things that made it a great game. NoE: It must have been quite a tough time, but obviously it all worked out. BS: Yeah, and that’s where the team should have lot of credit. When you’ve worked on something very intensely and you realise it’s not going where you want it to go, and you have to look around the corner and realise that changing things entails a huge amount of hard work, it does bring your morale down. But you know, it didn’t. The team really pulled together – we were all having to do it. And if we didn’t do what was necessary, then we’d have been doing the same thing as when we worked for hire and agreed to bad ideas for publishers. If we’d have agreed to our own bad ideas, then what was the point? We wanted to make the greatest game ever, and I think to a certain extent we’ve sort of succeeded in doing that. 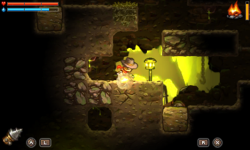 NoE: SteamWorld Dig is available now from Nintendo eShop on Nintendo 3DS. If someone reading this hasn’t picked it up yet, can you just give them a brief rundown of what the game’s about? BS: Sure! It’s a mining platform adventure, so if you’re into platform games this will appeal to you; if you’re into mining games, it’ll appeal to you too. And players who like story-driven adventure games, there’s something for you here as well. I think I covered the entire human race there! What we wanted to do was draw on the classics, and have elements from classic games in SteamWorld Dig. People are referring to Metroid and Castlevania, or even Mr. Driller and Dig Dug. Obviously if you make a mining game you’re always going to get comparisons to those other mining games, and although we call it a “first of its kind” game, if you pick it up you’ll think “oh, this is cool, like in this other game!” So we didn’t want to reinvent the wheel, we wanted to take the best out of the games that we really consider as classics. And if people can recognise that, we’re very happy. NoE: You describe it as a “first of its kind” game – can you explain to new players what they do in the game? BS: It’s a game where you create the game map yourself. It’s a mining game, so you dig down – that’s the objective of the game, to get deeper down and collect minerals, then take them up to the top and sell them, then upgrade your equipment with the proceeds. What makes it really special is that as the player, you decide where you want to go. We’re not dictating to you or pointing you in specific directions – we’re giving you subtle hints at where you should go, but you’re playing at your own pace. NoE: Did you have this free-form approach to gameplay in mind when you started developing the game? BS: It was there from the start. 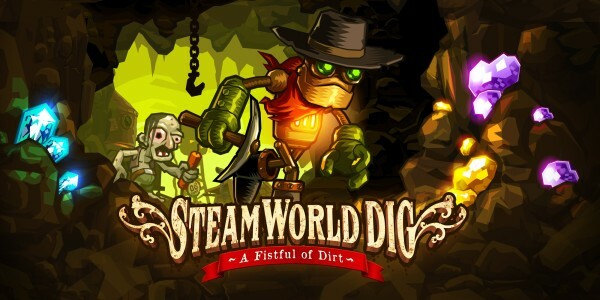 We were looking at other mining and digging games where you can do exactly what you want, and we wanted SteamWorld Dig to have that sort of feel. The game itself is actually randomised – when you start a new save file the positions of things will be different, so it’s a new experience each time you start, and you and your friends will have different experiences. On top of the randomised areas there are caves too, which are pre-designed puzzles. I also think the setting of the game is quite nice. You’re playing a robot, and when you start the game you don’t really know what’s happened, but as the story progresses you realise that the human race is actually present, and you’re going to run into them at some point. The robot you control and the other robots are very simple and hard-working, whereas the human race has evolved into something not very positive. 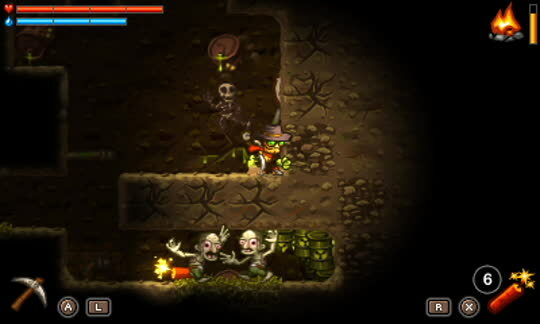 NoE: The game’s graphics and visual style are very distinct. How did you create this mixture of Wild West and steam punk? BS: Well we actually made a Nintendo DSiWare game back in 2009 called SteamWorld Tower Defense, and there we had that same mixture – hardworking robots in the mines, and humans trying to get into the mines. One of the reasons we made SteamWorld Dig was that we’d sit around on our lunch breaks talking about this world and how it came together, with these hardworking robots and the greedy, low-life humans, and why it was all happening. So we decided to explore this world more and to make another game, and as it was all about mines we decided to make a mining game. The influences of steam punk and Western really couldn’t be too far apart; steam-driven equipment would have come about sometime in the late 19th Century, and the Wild West was also around the turn of that century, so there’s a nice overlap. I should also say that we have one of the best art directors in the world, and whatever he decides is a touch of genius every time. Overall we were very happy with the style from the very beginning. NoE: How did you bring such a unique graphical style to Nintendo 3DS? 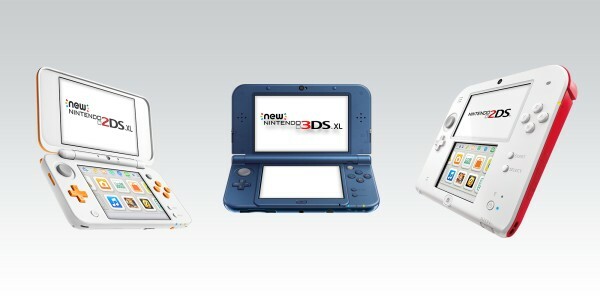 NoE: And what features of the Nintendo 3DS system did you discover that let you do something cool with the game? And I think the Nintendo 3DS is just a fantastic games console. It’s portable, you can start playing immediately when you flip it open, and the controls are perfect for us. Of course it’s also special in that you can have one gaming screen and a secondary screen, and I think we used that really well. The map is so central in our game that it’s great to have it there all the time on Nintendo 3DS. NoE: The game’s been out for a few months now – what’s the reaction been like from players? BS: It’s been unanimously very, very positive. And we were very scared and nervous in the beginning, because we’d been so tied-up in developing the game. It’s like music – if you write a song and listen to it a hundred times, it’s really hard to determine after the hundredth time if it’s any good. We knew that we had a good game, but we didn’t knew we had a fantastic game. When we launched and the first reviews came through with 8/10 and 9/10 scores, 10/10 even, we almost cried with relief. 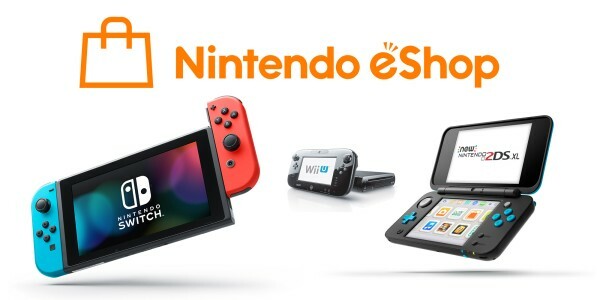 And then the game went up to number one in the European Nintendo eShop charts, then in the Australian Nintendo eShop charts, and after a few weeks it reached number one in the US charts. So far the game’s performed as well as we could have hoped for. We’re getting a lot of feedback from people online, on Twitter and so on, telling us what a fabulous game it is. We’re very grateful that people like it so much, but it almost becomes embarrassing at one point because you don’t know what to say – you’ve said thanks to them all, and you’ve called everyone a brother (laughs) The gaming community has done amazing work just telling each other – it’s a great word-of-mouth success. So we have to thank the community. NoE: To wrap things up, do you have any secrets that you’d like to tell fans, perhaps something they won’t have discovered about the game yet? BS: There are actually a lot of Easter eggs in the game, in the form of references to other games and movies, for instance. I mean that in the sense that you think “oh, that’s a reference to this.” I think we have eight or ten in the game, so if you find them yourself that’s a nice extra bonus. NoE: And any last message to Nintendo 3DS owners who haven’t picked the game up yet? 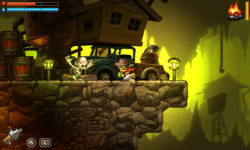 BS: I think you can very safely pick up SteamWorld Dig for Nintendo 3DS. It’s £7.99, which is very little money, and I think you’ll come away very pleasantly surprised. And lastly, as a message to any gamer really, just play more games. Play the games that you’re not used to playing – whatever you’re into, try something different. Just play more games! 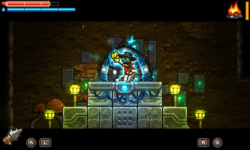 SteamWorld Dig is available now in Nintendo eShop for Nintendo 3DS family systems. Go hands-on with a variety of exciting indie titles at EGX Rezzed!